Polished rice (Oriza sativa L.) results from the complete milling of rice grain, after removal of the husks, polishings and bran from the whole grain (paddy rice). 60-72% of world rice is processed into polished rice (Ffoulkes, 1998). The polishing step yields 1 to 17% of broken rice, which consists of broken kernels that are 25% or less of the original length of the grain. Broken rice represents 2-3% of processed rice production (Baicich, 2013; Blair, 2007; Ffoulkes, 1998). Both polished rice and broken rice are primarily food products and are seldom available for livestock feeding due to their high price. Surplus is typically mixed with whole grains and sold as low-grade rice, or used for the production of rice flour, starch and alcohol, particularly for making pale lager beer and arak. In the USA, most of broken rice goes to petfood industry (Baicich, 2013). Polish rice and broken rice contain more than 80% starch and can be used to feed livestock as as source of energy. Rice originates from Asia where it has been growing since 6500 BC. It was brought to all tropical regions within centuries. Rice grows from 53°N in China to 35°S in Australia. The optimal growing conditions are: 20-30°C average day-temperature with night temperature over 15°C; fertile, heavy soils; and a PH between 6.5-7. Most varieties ("swamp rice", "lowland rice") must be planted in stagnant water and require 200 mm rainfall/month or the equivalent amount from irrigation, whereas others ("mountain rice" or "upland rice") require less irrigation and 750 mm rainfall on a 3-4 months period, and no dessication. In 2013, out of a world production of 495 million tons of rice (milled equivalent), 33 million tons of rice (whole grain, polished or broken rice) were used as feed and 27 million tons were wasted (FAO, 2017). 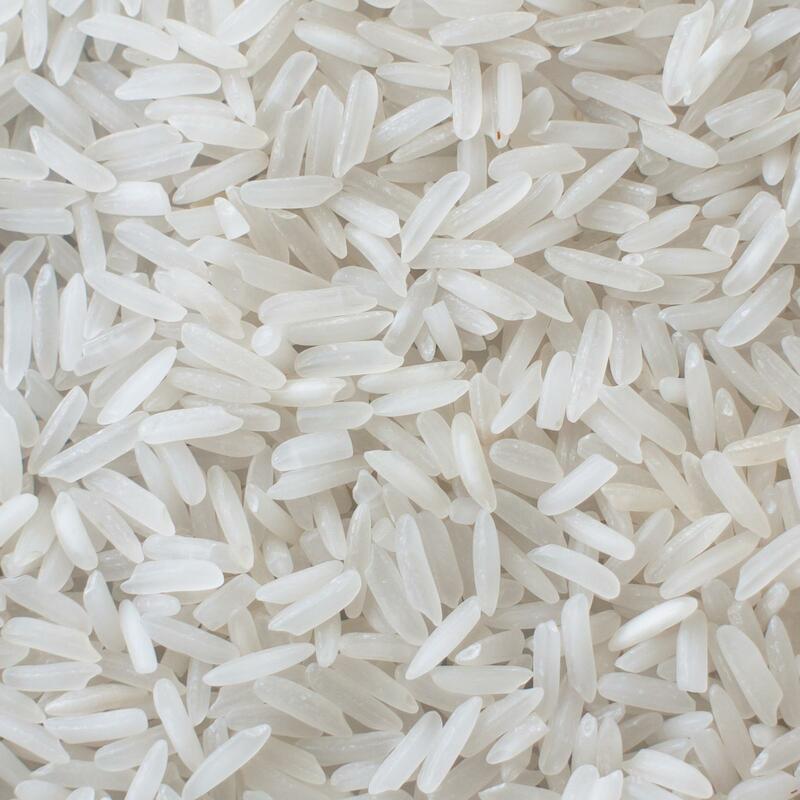 Polished rice and broken rice have a high starch content, typically higher than 80% DM. They contain little fat and fibre, and have a protein content (about 9-10% DM) similar to that of maize grain (Casas et al., 2015; Vicente et al., 2009). Broken rice is a palatable, energy-rich and easily used feed. It is fed to all classes of livestock, and is particularly valuable in monogastric diets as it contains less fibre and less aflatoxins than other grains (Aftab et al., 2012). Although lower in protein than all other cereals, broken rice is comparatively rich in lysine (Choct, 2002). High energy value and low fibre content of broken rice make it especially valuable in rations for growing chickens. Broken rice has low non starch polysaccharides which have a negative effect on the digestibility and utilization of nutrients (Low, 1985). Broken rice has thus a good amino acid digestibility (above 90%), higher than that of maize wheat or barley grains in pigs (Choct, 2002; Stein et al., 2001). Polished rice can be fed to ruminants as a local protein and energy supplement to grazing or conserved forages in tropical climates. Broken rice was identified as a promising local protein and energy feed in terms of degradability and rumen environment in swamp buffaloes (Nguyen Van Thu, 1997). In vivo metabolizable energy (ME) and digestible energy (DE) of broken rice were measured for sheep at an amount of 35% of a basal diet. They were respectively of 14.0 and 13.7 MJ/kg DM. Because of substantial by-pass of the rumen, fermentation of the starch and protein in broken rice is reduced. This may explain why DE is quite low for sheep (compared with pigs for example) (Farrell et al., 1982). Polished rice is not commonly used for dairy cattle feeding. It can be one of the ingredients of the concentrate given to dairy cows, for example as a supplement to cassava chips with or without cottonseed meal (Promkot et al., 2005). The bio-economic effects of polished rice were evaluated as an energy source from local resource for Jersey × Central American Milking Creole in a silvopastoral system with poro (Erythrina poeppigiana) in Costa Rica. This study showed that milk production was not affected by the energy source (polished rice vs. green banana, grain sorghum or sugarcane molasses). Total milk production (8.8 kg/d/cow) was above the average reported in grazing milk systems in Latin America. The financial analysis showed that using polished rice in such systems was economically viable (Jiménez-Ferrer et al., 2015). As in dairy cattle, broken rice can be fed as an ingredient of the concentrate given to buffalo calves (starter ration) (Borhami et al., 1967) or adults males (Haque et al., 2004), but there is no evaluation in the literature of the influence of broken rice itself on in vivo digestibility or intake. No study was found reporting the inclusion of broken or polished rice in the diet of sheep (as of 2017). A study conducted in West Bengal showed that the majority (78%) of Santals (tribe of people indigenous to Terai of Nepal and India) offer broken rice and rice gruel in addition to free range grazing to their goats (Dana et al., 2015). Broken rice was also found to be fed in Thailand, as part of a concentrate given to goats given mix of corn meal and cassava chips (Chanjula et al., 2007) or a total mixed ration based on oil palm frond silage (Wahyuni et al., 2012). Broken rice has high energy, low fibre, and valuable fatty acids. Broken rice results in high macronutrients digestibilities and compares favourably to other energy sources such as ground maize, rice bran or cassava chips (Vasupen et al., 2008a; Vasupen et al., 2008b). Compared to other energy carbohydrate sources (cereal grains), broken rice is a valuable source of digestible amino acids with a standardized ileal digestibility of 96% in growing pigs (Brestensky et al., 2014; Brestensky et al., 2013). In the 1950s, broken rice was reported to be 6% worthier than maize grain in 22 experiments with fattening pigs (Morrison, 1957). In more recent experiments, broken rice could be used as sole feed totally replacing maize in maize-based pig diets without deleterious effects on feed intake, growth rate and final body weight. It had no negative effect on carcass characteristics and no effect on feed conversion ratio (Kiefer et al., 2006; Mateos et al., 2006). Broken rice, in substitution of maize, increased nutrients digestibility and daily weight gain (Vicente et al., 2009; Mateos et al., 2006). Feeding broken rice instead of maize grain improved the structure of the ileal mucosa in pigs (Vicente et al., 2009). Broken rice is often referred to as a basal diet for local or crossbred growing pigs pigs in Asia (Chiv Phiny et al., 2010; Thim Sokha et al., 2008; Chhay Ty et al., 2007; Chhay Ty et al., 2006; Chhay Ty et al., 2005; Norachack et al., 2004). It is generally included at 2-3% of animal liveweight as DM (Chiv Phiny et al., 2010; Ly et al., 2002). It has been shown that growing pigs fed on broken rice had higher nutrients (OM, CP, fat, and carbohydrates) digestibilities than pigs fed on cassava chips (Vasupen et al., 2008a). Animals fed on broken rice had higher Ca and P digestibilities than those fed on cassava chips (Vasupen et al., 2008b). Crossbred pigs of different weights (11-14 kg or 16-18 kg) fed on broken rice based diets were also reported to have higher average daily gain (Vasupen et al., 2008a; Vasupen et al., 2008b; Chhay Ty et al., 2006; Chhay Ty et al., 2005). A basal diet containing broken rice could be supplemented with fresh mulberry leaves, cassava leaves, water spinach leaves or a mixture of the latter two foliages. Foliage supplementation increased overall dietary energy intake and N retention in pigs (Chhay Ty et al., 2006; Chhay Ty et al., 2005; Norachack et al., 2004). Fresh water spinach leaves could provide up to 70% of protein in broken rice based diets (Prak Kea et al., 2003). Lysine supplementation had no effect on feed conversion ratio but improved daily weight gain, feed intake and energy intake when pigs were fed on broken rice (Hurtado-Nery et al., 2015). Broken rice could be fed in the same way as maize to nursery piglets (Yuangthong et al., 2012). Extrusion was not necessary to increase the nutritional value of broken rice, unlike maize grain (Hua Liu et al., 2016). Broken rice could be used in diets for nursery pigs without detrimental effects on growth performance, and improved intestinal health has been reported (Vicente et al., 2009). Rice cooking is routinely used in Thailand to feed young pigs (Aftab et al., 2012). The use of broken rice or polished rice in poultry feeding is not as much documented as it is for other grains. However, those products seems to be similar to maize in terms of composition, metabolisable energy content and amino acid digestibility (Generoso et al., 2008; Junqueira et al., 2009). The percentage of incorporation of broken rice in the diet seems to be high for all types of poultry. A maximum of 40-45% dietary inclusion of broken rice does not affect broiler performance (Brum et al., 2007; Gupta et al., 1999). Complete replacement of maize by broken rice seems possible (Edwin et al., 2002). Similar results have been observed in laying hens but the yellow colour of the yolk is reduced (Jadhao et al., 2000). Broken rice is commonly used in rabbit feeding in countries producing rice for human consumption, including Thailand, Cambodia, Vietnam and Laos (Thepouyporn et al., 2006; Pok Samkol et al., 2006; Nguyen Thi Duong Huyen et al., 2013; Hongthong Phimmmasan et al., 2004), India, Nepal (Prasad et al., 2000; Ghosh et al., 2008; Neupane et al., 2011), Hungary (Oanh, 1983) and Italy (Amici et al., 1995). Broken rice is used as a source of digestible energy after inclusion in balanced concentrates at a level of 5 to 20% (Ghosh et al., 2008; Dinh Van Binh et al., 1991; Neupane et al., 2011) or simply distributed along with a protein-rich forage such as water spinach or sweet potato wines (Pok Samkol et al., 2006; Nguyen Thi Duong Huyen et al., 2013). The benefit of the combined distribution of broken rice and forage depends mainly of the type and composition of the forage. In feeding trials, broken rice has been included in complete diets up to 30-40% of the diet without particular problems (Oanh, 1983; Prasad et al., 2000). For utilisation in balanced diets, broken rice is a good source of digestible energy (about 15 MJ/kg DM). It has a moderate protein content but protein digestibility is high (about 80%) (Oanh, 1983). For growing rabbits, broken or polished rice proteins are slightly deficient in lysine and sulphur-containing amino acids, providing 82% and 92% of requirement respectively (Lebas, 2013). However, broken rice is quite devoid of fibre (0.4 to 1.5% crude fibre) and of calcium, and should therefore never be used as sole feed for rabbits. As a conclusion, broken rice or polished rice, when they are cheap enough, are suitable sources of starchy digestible energy, usable to feed rabbits exclusively in association with other ingredients. In Australia, broken rice has been widely used for high energy horse feeds for many years. Reported DE values for broken rice and polished rice range from 15.1 to 18.2 MJ/kg DM (Hutton, 1990; De Marco et al., 2014). Broken rice is a useful ingredient in aquaculture that can be used by smallholders to make farm-made feeds for fish and shrimps. Broken rice can be used as an energy source for catfish, tilapia, snakehead, milkfish and herbivore fish (Hertrampf et al., 2000). Broken rice has medium pelletising ability (5 in a scale of 10) but is now considered suitable as a replacement for maize, wheat, and tapioca starch for producing high quality extruded floating or slow sinking fish pellets (Cruz et al., 2015). 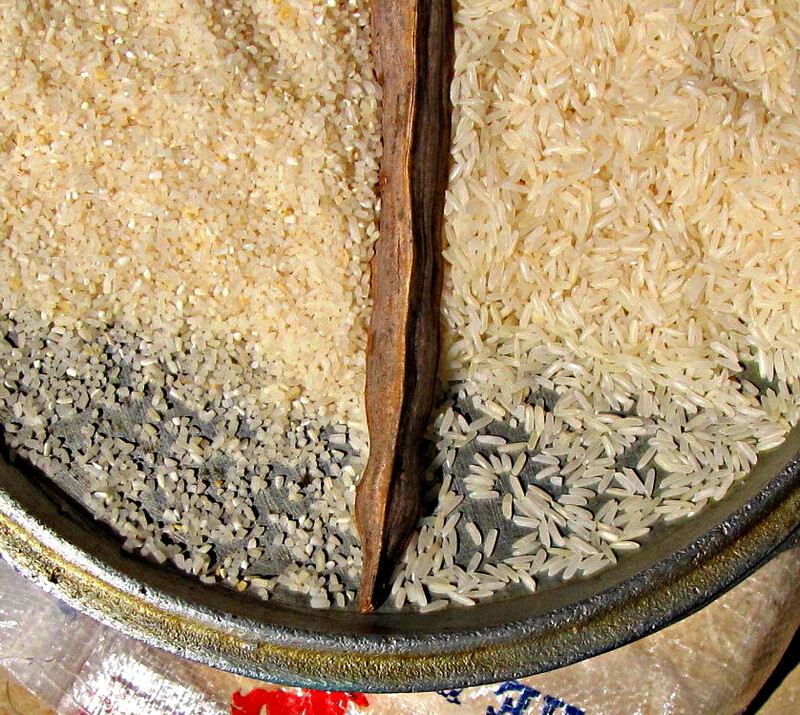 Cooked broken rice can be used as a binder in moist diets (Hertrampf et al., 2000). Broken rice is a valuable carbohydrate source for most catfish. Broken rice was included at 30% of the diet of striped catfish fingerlings and was reported to have the highest apparent digestibility of DM, OM, gross energy and protein which made it a potential replacer for fish meal (Da et al., 2013). Similar results had been observed in an earlier experiment with the same inclusion rate (Hien et al., 2010). Jundia catfish, an omnivorous fish tending to be carnivorous could be fed a diet containing 30% broken rice. In a comparison of plant ingredients, broken rice had higher apparent digestibility coefficients than those obtained with ground maize, citrus pulp, soybean hulls and wheat bran, but specific growth rate, final body weight and fish DM content were similar for all tested ingredients (Rodrigues et al., 2011). Bagrid catfish is a freshwater fish with high protein requirements that also needs some carbohydrates in its diet. Bagrid catfish fry could receive broken rice as a source of carbohydrates at 17% without any deleterious effect on specific growth rate. Broken rice was as efficient as ground maize, and resulted in better performance than sago flour or dextrin. Cooking broken rice did not improve its nutritive value (Hamid et al., 2011). Broken rice was included in hybrid catfish diets as a carbohydrate source at 30, 37, 45, 53.5 and 60% during 60 days. It resulted in higher growth rates when included at 37 to 60%. Feed conversion ratio, protein eficiency and energy retention were similar and were the highest between 37 and 53.5% inclusion (Jantrarotai et al., 1994). Broken rice could be used to produce extruded feed for tilapia though it had lower floating index and water stability than cassava meal (Somboon et al., 2014). Nile tilapia could be fed on 30% broken rice in a digestibility trial. 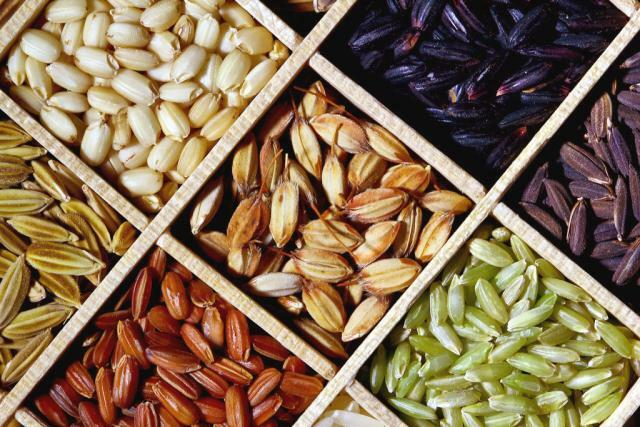 Broken rice had much higher apparent digestibility coefficients than other plant products such as ground maize, citrus pulp, soybean hulls or wheat bran. Nile tilapia showed significantly higher growth rate and final weight when fed on broken rice rather than on other plant products (Rodrigues et al., 2011). It was reported that average daily gain and specific growth rate were higher in Nile tilapia fed on 30-50% broken rice than on those fed on cassava meal (Somboon et al., 2014). In tilapia extruded diets, broken rice included at 30% of the diet showed high apparent digestibility values for energy (95%) and DM (96%) and medium digestibility for protein (63%). Broken rice had the lowest available methionine and cystine compared to other carbohydrate sources (Guimaraes et al., 2008). High digestibility coefficients (84% for protein) were observed for broken rice and other starch-rich ingredients such as cookie residues, macaroni residue, cassava root meal and soybean meal included at 30% dietary level in red tilapia (210 g) diets (Novoa et al., 2013). Broken rice could be used at 30% of the diet of major carp (Cirrhinus mrigala) fingerlings as a source of energy, but resulted in lower average daily gain than those obtained with maize oil cake and rice polishings (Jiang et al., 2011). Ghosh, S. K.; Datt, C.; Singh, N. P.; Ngachan, S. V., 2008. Broiler rabbit production in Tripura. In: Sing, N. P. (Ed. ), lCAR publication N°30, Tripura, India: 7 pp. Oanh, D. K., 1983. Utilization of by-products from rice processing in rabbit feed. Rizsfeldolgozasi mellektermekek alkalmazasa nyultapokban, 167 pp.